Dover UCC is a proud member of The United Church of Christ, a denomination which worships a still speaking God. 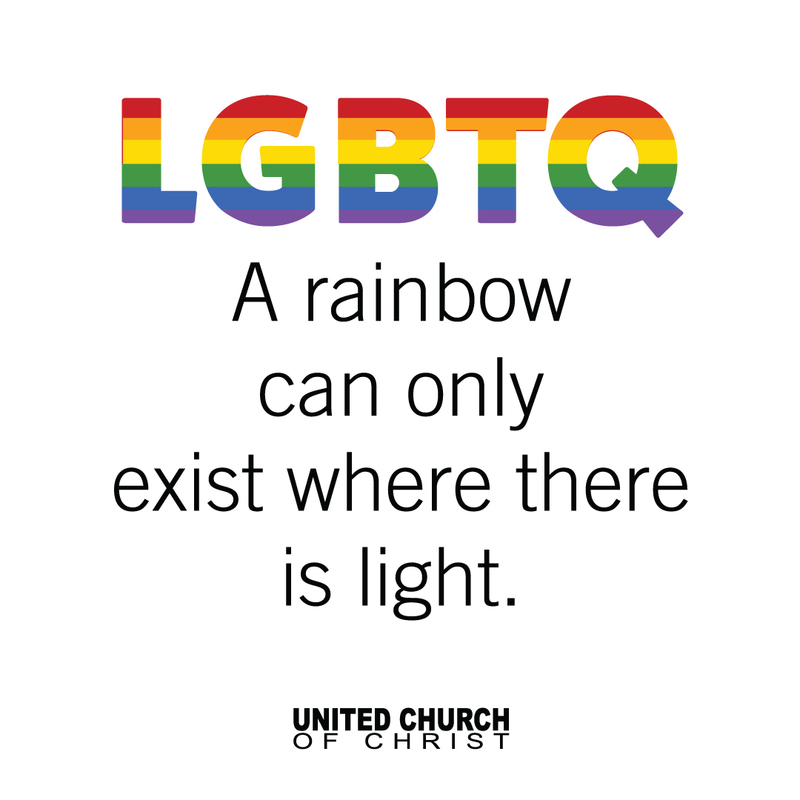 We are proud to be an Open and Affirming* congregation. The congregation of Dover United Church of Christ, in the spirit of Christ’s invitation, “Look, I have set before you an open door,” welcomes all who seek to know and share God’s love. We affirm the dignity and worth of every person and celebrate the diversity in which God created us, each in God’s image and loved by God. We declare ourselves to be an Open and Affirming congregation, welcoming persons of every race, language, gender, age, sexual orientation, gender identity or expression, ability, and economic status into full membership and participation in the life, worship, rites and sacraments of this church. We commit to model a community of faith that works toward openness and understanding, offering justice, reconciliation, healing and wholeness of life for all people.